When you work with STCS, you work with the BEST. 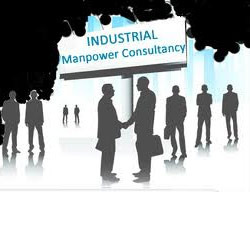 Highly trained and Professional attitude is what you get from our rich pool of human resource. We are a concerned consultancy company especially when it comes to human resource as the Right Team Players makes all the crucial difference to your Success or Failure for that matter. We offer an open choice of contract or hire basis to choose from, for all your manpower needs from our refined database of professionally qualified and highly experienced professionals. Our candidates are duly certified as ASNT NDT Level II, ASNT NDT L-III, CSWIP 3.1, CSWIP 3.2, BGas Painting Inspector Gr. II, B Gas Painting Inspector Gr. III, ISO 9000 Certified lead Assessor/Auditors, assuring highest level of professionalism in the services provided. The minimum qualification of these professionals is Diploma or Degree in various Engineering faculties in respective areas of Inspection, QA/QC, Welding, Corrosion and Painting Inspection.